Senator Kabiru Marafa, (APC-Zamfara Central) has faulted Governor Abudulaziz Yari of Zamfara State over his recent comments concerning the security situation in the North-West state. Marafa, who spoke with State House correspondents on Friday in Abuja, said he was in the Presidential Villa to offer useful clues to President Muhammadu Buhari on way out the lingering security problem in the state. He said he also intimated the president on the latest development with regards to the crisis that emanated from the All Progressives Congress (APC)’s congress in the state. Marafa said that Yari should have resigned his appointment as governor since he could no longer oversee the security of the state. 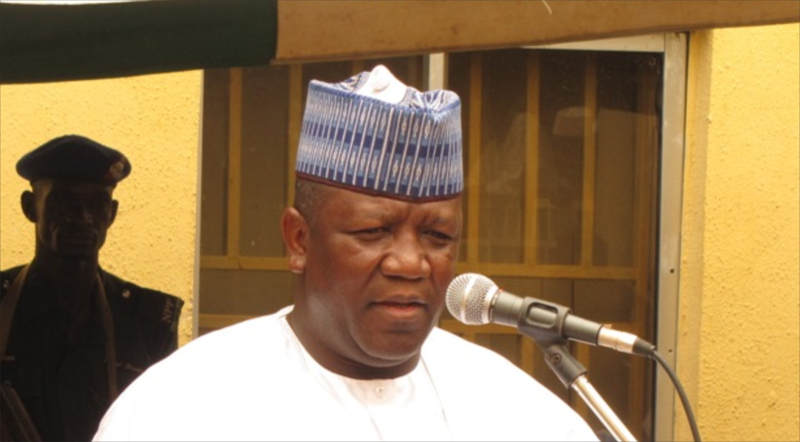 Speaking to newsmen in Talata-Mafara, Zamfara, Yari said that his decision was premised on the helplessness of the state government and the people over recurring killings in the state. He had condemned the reoccurring killings, regretting that as the chief security officer of the state, he could not take decisions on strategies for protecting the state and its people. “Nigeria is suppose to be seen as our country; for a chief executive to come out publicly to say that he has resigned as the chief security officer of that state, he or she is suppose to accomplish that statement with his resignation. “I do not have to call on him to resign; this is something every Nigerian is supposed to say. He said it was wrong for Yari to be Zamfara State Governor only in resources but when it came to protection of lives and property, he shirked responsibility and passed the buck to President Buhari.